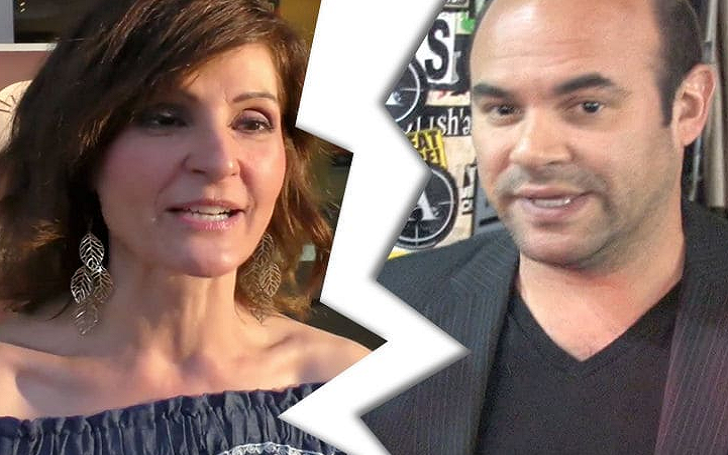 Nia Vardalos and Ian Gomez are no more together. The My Big Fat Greek Wedding star and the Cougar Town star have split, multiple sources have confirmed. According to documents obtained, the duo has called it quits after 25 years of marriage as Nia has filed for divorce from her husband in the Los Angeles Superior Court on Friday, June 29, citing the reason for their split as 'irreconcilable differences'. The papers list the date of separation as 29 June 2017 and both mom and dad are seeking for joint legal custody of their daughter, Ilaria Vardalos Gomez, 11, whom they adopted in 2008. The estranged couple has shared a joint statement to E! News on Tuesday, July 3, in which they called the split a joint decision, revealing that it's already been more than a year that they broke up. We’ve been respectfully separated for a lengthy period of time. Our relationship became a friendship so the decision to end the marriage is completely mutual and amicable. It is our hope that decency will prevail on the reporting of this story which will soon be yesterday’s news. Thank you for respecting our privacy. The couple had started their marital relationship on 5 September 1993, and later in 2002, they appeared together in 'My Big Fat Greek Wedding'. Nia, 55 and portrayed lead Fotoula “Toula” Portokalos-Miller while her estranged husband, Ian, 52 starred as Mike at Toula’s wedding to Ian Miller (John Corbett). Although the pair has stayed out of the spotlight, in a 2014 book Instant Mom, Nia opened up about their struggle to conceive. I believe now in the order of things. I believe everything was supposed to happen to me and not work, so that I could meet my real daughter. I get it now. This is why I feel this was time for the [My Big Fat Greek Wedding] sequel. There was no way I could have written this story of wanting to stay close to my daughter if I didn’t experience motherhood. So I’m grateful for all the years I’ve waited and I’m grateful that my producers waited for me.